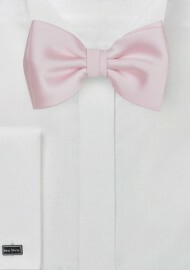 A soft pink summer hue crafted as a kids bow tie fitting toddlers as young as 1 yeats old up to boys age 10. The neckband adjusts to fit a wide range of ages and heights. 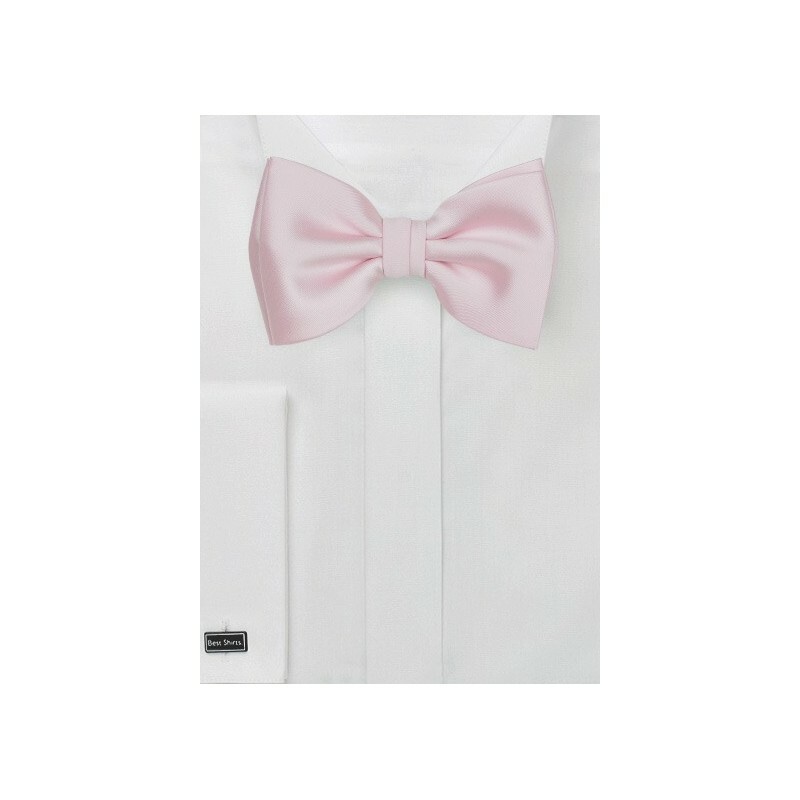 One of our most popular summer wedding colors that is also available as kids neckties, adult bow ties and neckties, as well as pocket squares and even suspenders.